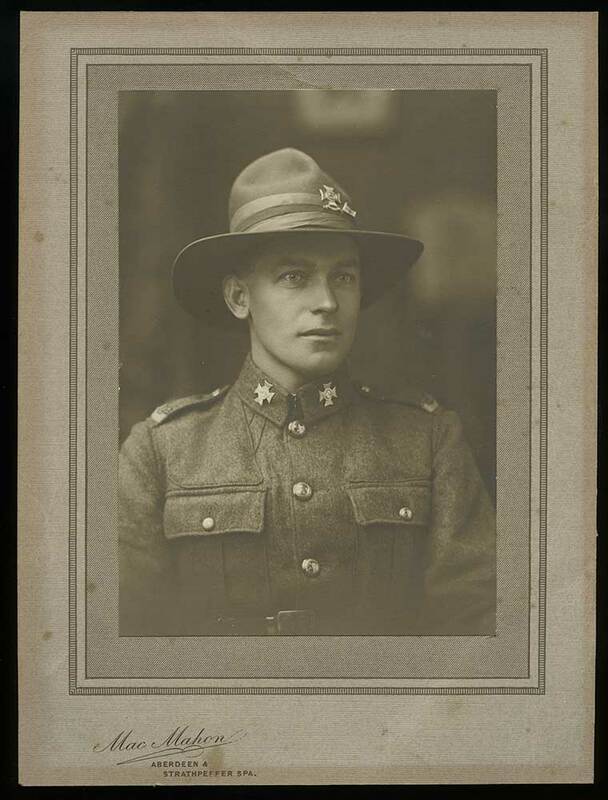 Territorials; 2nd South Canterbury Regiment - serving. Height 5 feet 6½ inches. Weight 133 lbs. Chest measurement 33-36 inches. Complexion between dark & fair. Eyes grey. Hair brown. Sight - both eyes 6/6. Hearing good. Colour vision correct. Limbs well formed. Full & perfect movement of all joints. Chest well formed. Heart & lungs normal. No illnesses. Free from hernia, varicocele, varicose veins, haemorrhoids, inveterate or contagious skin disease. Vaccinated. Good bodily & mental health. No slight defcts. No fits. No distinctive marks. On termination of period of engagement (shell wounded leg). 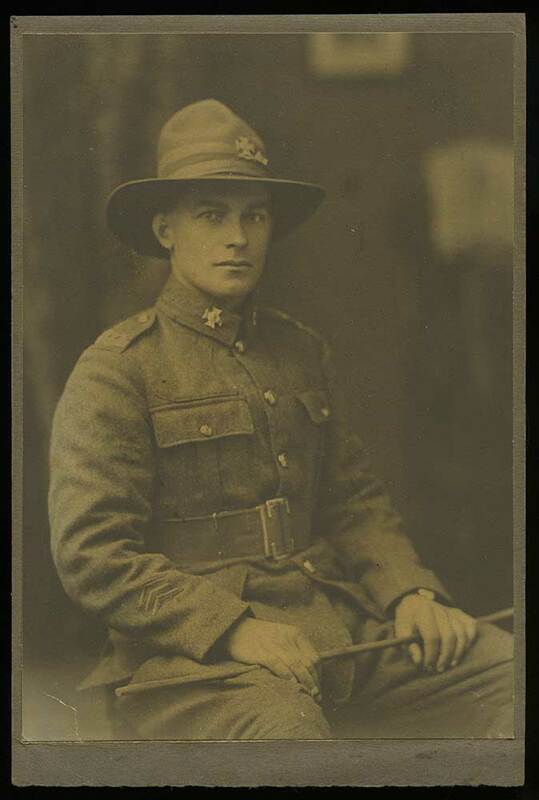 George Ramsay was born on 3 November 1891 at Kaitangata, the son of James Brown and Grace Scott (née Coulter) Ramsay. In 1919 he married Christina Black, the sister of Archibald and William Black who served in World War One. During World War Two George served in the Home Guard, while Allan Ramsay, the only son of George and Christina, was killed in action at Casino.